Green Chrysoprase can be used to treat disorders of the heart and to increase dexterity. Lemon Chrysoprase, also called Citron, can be used to assist in the assimilation of Vitamin C, treat reproductive organs and increase fertility. 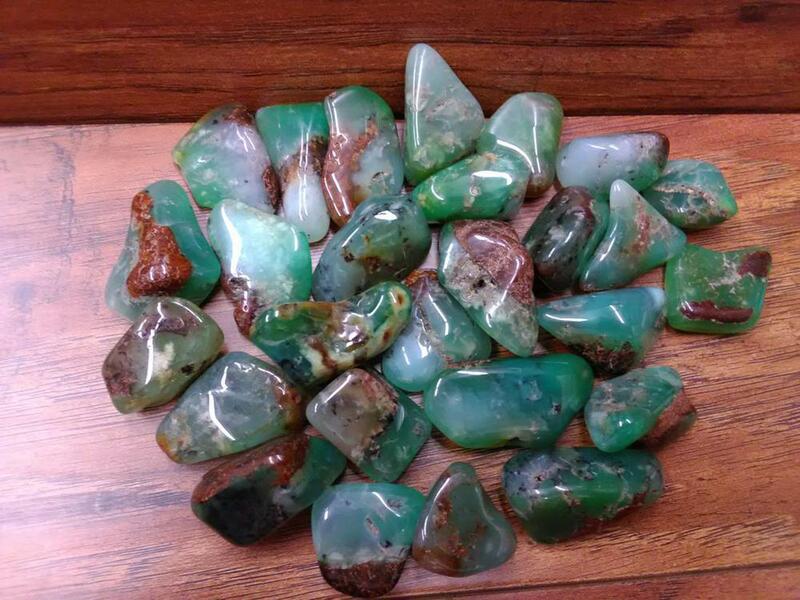 Chrysoprase is known for bringing hope into dire situations, and is excellent for breaking negative cycles. Size - 7/8" - 1 3/4"